Minimum Credit Score For Va Loan and How to Improve It. So What is the minimum credit score for a VA loan? The VA itself does not establish a minimum credit score for veterans applying for a VA mortgage. It’s up to each lender to determine their own credit score standards. Although the minimum credit score will vary from lender to lender, generally most see it as too risky to approve credit scores below about 620 to 640. One of the first rules of taking out a mortgage is to shop around and know your options. If one of your options happens to be a VA loan, then you’ve probably found the best place to start! VA loans are especially unique options because they often require low down payments, no mortgage insurance, and competitive interest rates. Eric with Low VA Rates talks about some of the VA loan requirements and the minimum credit score for VA loan. If your credit score is below 620 to 640, don’t despair! There are a few things you can do over the next few months to improve your FICO score. As the video above describes the VA has not set a Minimum credit score for a VA loan, but many lenders will not work with you unless your credit is at a certain point. Low VA Rates works with people regardless of their credit score. We do not base our decision solely on the FICO score or credit score. That being said we will take look at it, but we will work very hard to try to get a person approved depending on the individual situation. If you would to learn more about your credit and speak with one of our Low VA Rates mortgage experts call us now at 866-569-8272 . The following information are some helpful tips that may improve your credit situation. Of course this is probably easier said than done, but it’s also one of the most crucial ways to make or break your credit score. Before making any other purchases with your new paycheck, make sure your bills, monthly loan balances, rent or housing payments are all taken care of. Then you can spend the rest of your money as you please and with peace of mind! Make sure you’re spending within your means each month. This doesn’t necessarily mean staying within your credit card balance; this can mean staying well below that balance. Often card companies need to see that you know well where the line is before they allow you a larger amount of credit on your account, which factors into your credit score. Credit card offers can be easy to come by, but that doesn’t mean you need to apply for one every time they show up! After two or three credit cards, it gets hard to keep track of your finances! Each card you have just adds to the risk that you’ll go over your balances. That in-store discount isn’t worth it. Finally, if you have any unpaid balances, make it a priority to pay them off as quickly as possible. The longer you wait, the more interest will increase on your debt. On top of that, your credit score won’t be getting any better in the meantime. Finally, remember that if you’d like to take a deeper look into your credit, some organizations offer free credit consultations to veterans. These professionals can help you develop a personal plan to help you reach your goals – whether that be refinancing, buying a house, or anything else! 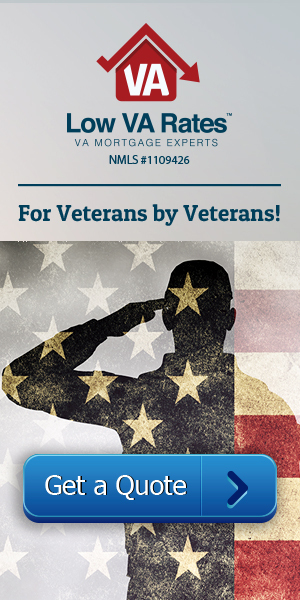 To find out more about qualifying for a VA loan, contact us!